Beautiful Sedona, Arizona, is a must-stop for any family trip through the Southwest. 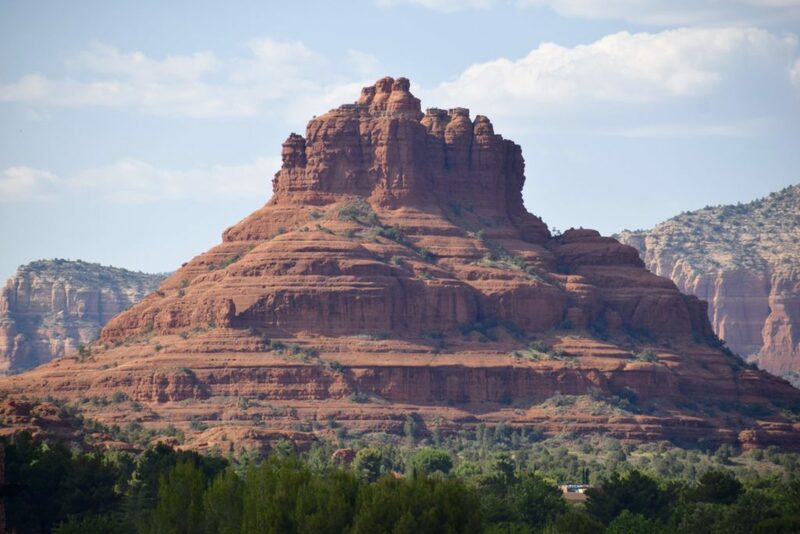 We love road trips and although temperatures are rising, our last visit proved it’s easy to have a great time in Sedona in the summer. Just make sure your car has AC! 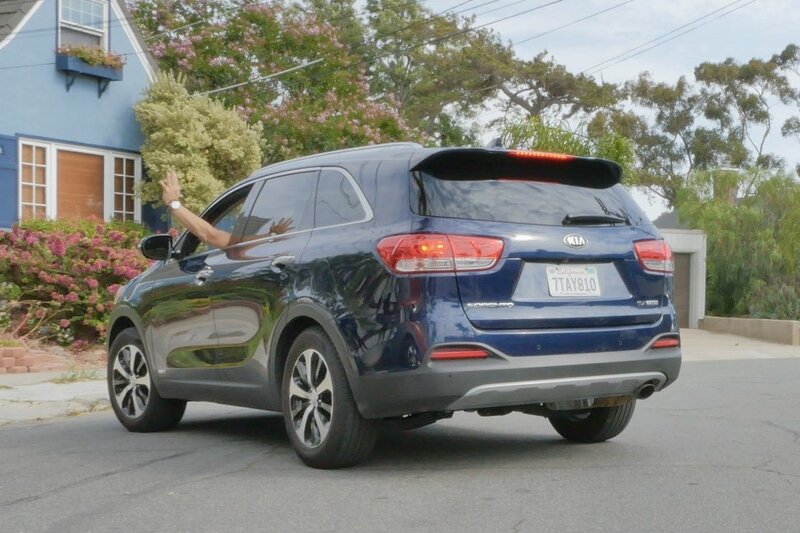 We piled the kids and all our stuff into the sporty Kia Sorento with room to spare, wheeling down the roads armed with Starbucks and an excellent sound system. Our sporty Kia Sorento was a comfortable ride for our summer road trip to Sedona. Hope you enjoy our suggestions for how to enjoy Sedona in the summer with kids! Sedona is postcard-famous for its amazing red rocks and gorgeous canyon scenery. One of the best ways to see it up close is off-roading with Pink Jeep Tours. The 4-wheeling can get a little wild, and sometimes it felt more like being on a rollercoaster instead of a jeep. Still, we were securely belted in and grateful for the shade canopy as we explored dirt trails and streambeds. The drivers are also knowledgeable guides, and we were surprised to learn the whole area was once at the bottom of an ocean! 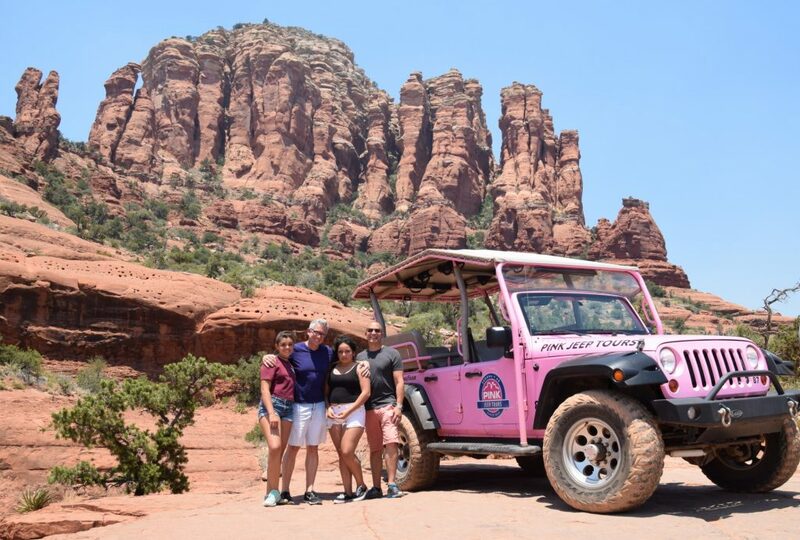 The Pink Jeep tour was a highlight of our visit to Sedona in the summer. From the canyon floor, we wound our way up rock faces and through narrow gullies. Our driver perched us on top of a gigantic boulder – the perfect spot to get out for a closer look and some Insta-worthy pics. Tip #1: Put the kids in the back where the ride is bumpiest. They laughed and giggled throughout the whole trip, while the adults rested more comfortably in the calmer seats. If you want to have a great time in Sedona with kids, there’s no better way than to visit an authentic Old West ghost town. Jerome, Arizona is just an hour’s drive away from Sedona and it’s true Old West mining town. With lots of local color and many tales of historical fiction, Jerome may be a ghost town but it is far from dead. We toured several fun (air-conditioned) restaurants, shops and galleries on the downtown streets. If you read my post about the Haunted Whaley House in San Diego, you know our girls are fascinated with ghosts. To raise our chances of seeing some spirits, we booked a guided tour on the Ghost Town Tours’ Spirit Walk. Although we didn’t see any apparitions, the kids were definitely spooked when we walked through a deserted old high school. 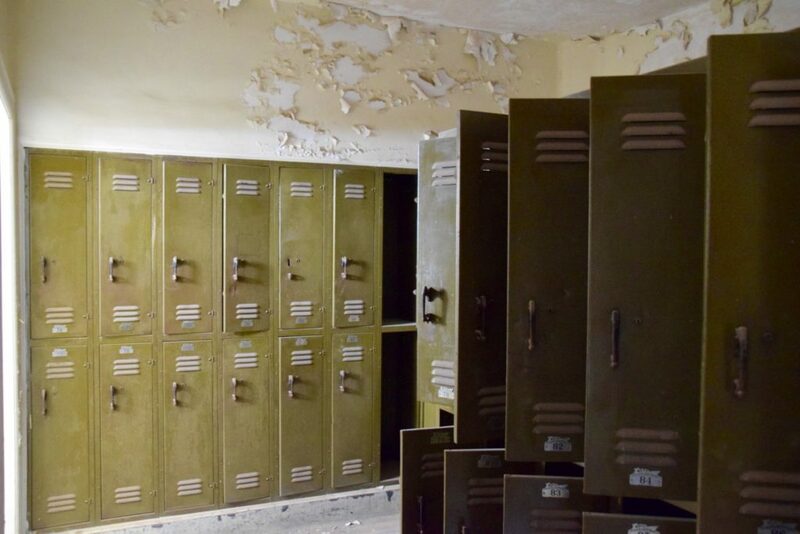 It was a ghostly site complete with creepy locker rooms and abandoned gym. 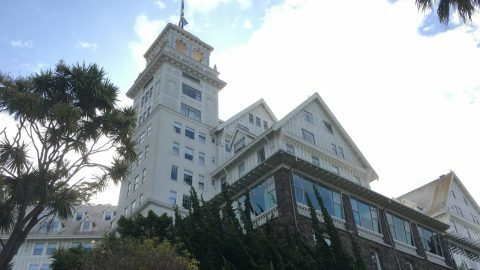 Tip #2: Try to visit mid-week when the summer crowd is even less, and you may end up with your own private tour guide like we did. You can’t talk about having a great time in Sedona with kids unless you include a morning hike. We like to head out before the sun gets too hot. (Our sleep-until-10 a.m. girls grumbled a bit about having to wake up early until they saw the spectacular sunrise.) We drove the Sorento to the trail head, and kicked off our hike through the red rocks and twisted junipers of Bell Rock. The beauty of Bell Rock is just breathtaking, and yes this is a photo I actually took. Tip #3: Bring bottles of water, a hat and some granola bars in your backpack. It’s easy to work up a sweat and hunger, and you’ll avoid the kids wanting to run back to the car. One of the things our family loves the most about the desert is the clear night sky, which our kids just don’t get to see in our urban home. Sedona is a designated International Dark-Sky Community, with very few streetlights and far from any big city. The night sky in Sedona is pitch black, making it one of the best places to stargaze in the US. We booked an evening sky tour with Sedona Star Gazing. We geeked out when they heard it would be led by a former NASA engineer, using a real telescope. Plus there was no hiking involved—bonus! 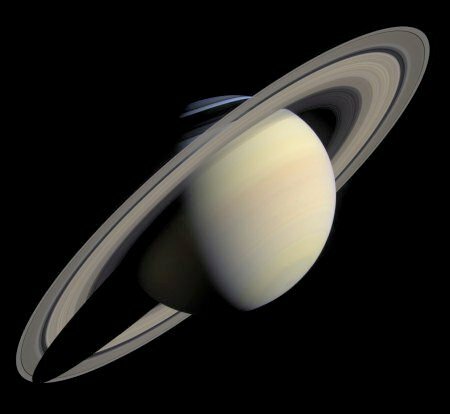 It was sooooo cool to look through the telescope and see Saturn and her rings. Sitting in an open field in comfortable lawn chairs, we took turns looking through an enormous telescope. Our guide used a laser pointer to point out one amazing star after another. We even saw Saturn and her rings, Jupiter and some of its moons, and tons of stars and constellations. Tip #4: Sedona in the summer is colder at night than you might expect, so bring long pants and sweatshirts for extra comfort. When the tours are over, make sure to leave some time for souvenir shopping. We quickly got used to the misters that keep visitors cool as you stroll downtown Sedona. Offering an eclectic mix of art galleries, crystal shops, restaurants and more, downtown Sedona is a bustling scene. The kids had an especially great time in the rock shop. Checking out the large variety of colored rocks and stones, they picked out some special ones to bring home as gifts for friends. Tip #5: Plan the jeep tour and shopping downtown together. The starting point for the jeeps is right in the middle of the main downtown area. The cliffs and rock formations surrounding Enchantment Resort are just stunning. 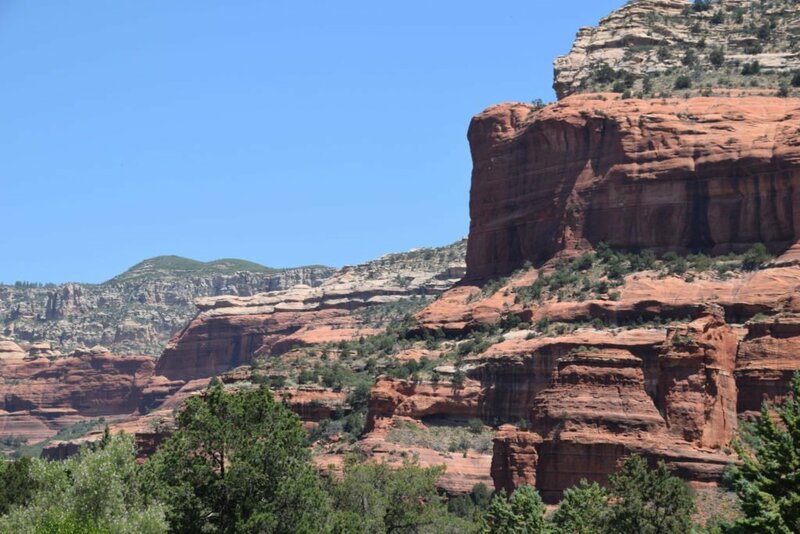 Whether gorgeous scenery, hiking, exploring history, or stargazing, there are lots of ways to have a great time visiting Sedona in the summer with kids. Sedona is just over two hours north of Phoenix by car. It’s a beautiful drive as you climb though the Tonto National Forest and into red rock country. The Sedona Visitors Information website has tons of great info and links to hotels, restaurants, and attractions. Enchantment Resort & Spa – This luxury accommodation is tucked into a picturesque red rock canyon, offering rooms and suites decked beautifully in the desert theme. Their spa, Mii Amo, is world renowned and we could totally see why. Summer rates start around $379. Hilton Sedona Resort at Bell Rock – With views looking out over the desert floor directly aimed at Bell Rock, this Hilton comes perfectly equipped. The hotel is decked out with a spa, tennis courts, large pool area, spacious rooms and more. 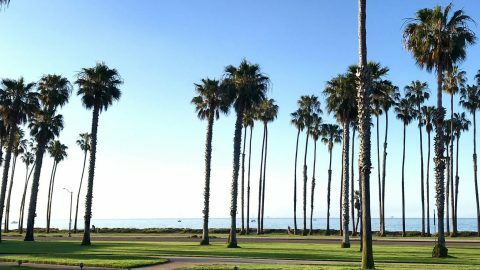 Summer rates start around $212. 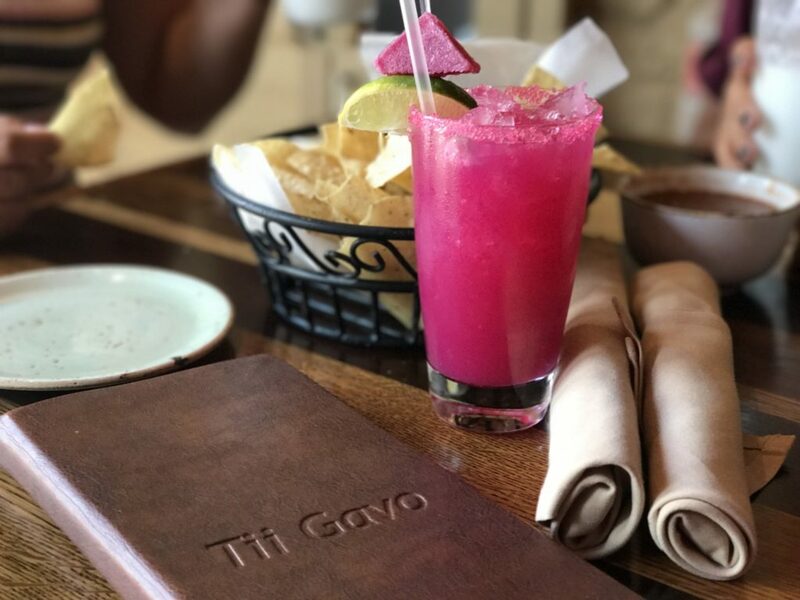 The signature Prickly Pear Margarita was a nice greeting at the Enchantment Resort in Sedona.